English for Everyone (Английский язык для всех) издательства Dorling Kindersley – это серия уникальных визуальных пособий - самоучителей. Информация представлена максимально наглядно и доступно – в кратких объяснениях, схемах и иллюстрациях. Разные книги рассчитаны на разные уровни владения, от начального до продвинутого и делового. Основная цель обучать удобно и быстро в любом месте и в любое время. 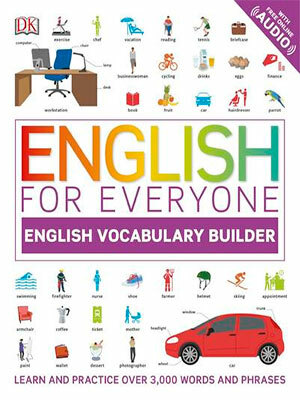 English for Everyone: English Vocabulary Builder - Expand your English vocabulary with this unique combination of illustrated vocabulary reference and practical workbook. English Vocabulary Builder makes all the most useful English words and phrases easy to remember. Each of the 3,000 entries is illustrated and available as an audio recording. Readers can write their own translations a... Expand your English vocabulary with this unique combination of illustrated vocabulary reference and practical workbook. English Vocabulary Builder makes all the most useful English words and phrases easy to remember. Each of the 3,000 entries is illustrated and available as an audio recording. Readers can write their own translations and work through hundreds of practice exercises to fix the English words in their minds and improve their English-language skills. English Vocabulary Builder makes vocabulary easier than ever to learn and remember. English for Everyone is an exciting and comprehensive self-study course for adults of all ages and levels learning English as a foreign language. English for Everyone: Grammar Guide - A self-study English grammar guide using innovative visual learning methods to make even the trickiest points easy to understand, for the approximately 1 million adults in the United States learning English as a second language. Suitable for English-language learners of all levels, from beginner to advanced, and even experienced English speakers looking for a reminder of key language points, English for Everyone: English Grammar Guide is an intuitive way to study English grammar. Clear illustrations put learning points in context and make them easy to remember, and simple graphics and annotated sample sentences break down grammar constructions, making even difficult points easy to follow. 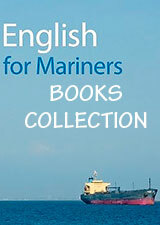 English for Everyone: English Grammar Guide covers the language skills, vocabulary, and grammar needed for the major global English-language exams, including TOEFL. All learning is practiced across speaking, listening, reading, and writing exercises, offering rounded preparation for work, travel, study, and exams. English for Everyone: Course - is an exciting and comprehensive self-study course for adults learning English as a foreign language. This course is a unique new series with a visual, engaging, and easy to follow style to make the English language easy to learn. Learn English by reinforcing key language skills, grammar rules, and vocabulary with listening, speaking, reading, and writing exercises. This unique course is easy to use, starting at beginner level and working up to advanced English to help you grow in confidence as you learn. Level 1 Beginner's guide introduces topics such as jobs and routines, leisure activities, and the home. Audio material is provided at every stage through the English For Everyone website and Android/iOS apps to provide vital experience of spoken English and make even tricky phrases easy to understand. Perfect for personal study or to support exams including TOEFL and IELTS, English for Everyone is suitable for all levels of English language learners. Practice Book introduces business topics such as interpersonal skills, meeting vocabulary, emailing a client, and attending interviews. Audio material is provided at every stage through the English For Everyone website and Android/iOS apps to provide vital experience of spoken English and make even tricky phrases easy to understand. Perfect for personal study or to support exams including TOEFL and IELTS, English for Everyone is suitable for all levels of English language learners. Business English Course Book introduces business topics such as meetings and presentations, telephone language, company history, and business lunches. Practice Book introduces business topics such as interpersonal skills, meeting vocabulary, emailing a client, and attending interviews. English for Everyone. Самоучитель - специальные пособия для русскоязычных студентов с начального уровня. Каждый учебник комплектуется Практикумом с упражнениями, а также онлайн аудио приложениями. English for Everyone. Полный курс английской грамматики - включает в себя краткие объяснения и множество полезных тонкостей. Он подойдет как начинающим, так и тем, кто хотел бы повторить грамматику и разобраться в сложных темах. Пособие предназначено для всех, кто стремится к эффективному освоению или повторению английской грамматики.